Midwest Orthopaedic Consultants extends a truly modern method of delivering affordable quality and convenient orthopaedic care. For over 25 years, Midwest Orthopaedic Consultants has been dedicated to providing comprehensive orthopaedic clinical excellence! 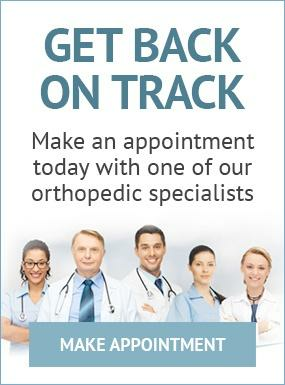 We specialize in nonsurgical and surgical treatments for any type of orthopedic and musculoskeletal problem or injury. The physicians of MOC have received specialized training in orthopaedic surgery and in subspecialty areas within the field of orthopaedic medicine and can diagnose and treat even the most complicated and rare orthopaedic conditions. Midwest Orthopaedic Consultants provides high quality orthopaedic care to both the injured worker and the referral sources. MRI stands for Magnetic Resonance Imaging, a diagnostic test that provides high-resolution imaging using a strong magnetic field and radio waves. The MOC physical therapy staff is experienced at treating patients with various surgical and nonsurgical orthopedic and sports medicine impairments, and other musculoskeletal problems. Electromyography (EMG) and Nerve Conduction Velocity (NCV) studies are ordered to evaluate nerve and muscles disorders.